Sulfhemoglobinemia is a condition in which sulfhemoglobin is present in blood in higher concentration. It is a green color pigment derived from hemoglobin. Once sulfhemoglobin is formed, it is almost impossible to reverse it to normal hemoglobin. Hydrogen sulfide is a gas which is produced by bacteria present in intestine. When hydrogen sulfide reacts with oxygen carrying hemoglobin, it forms sulfhemoglobin. The increased concentration of sulfhemoglobin leads to sulfhemoglobinemia. Sometimes sulfhemoglobin exceeds up to 10 percent of total hemoglobin. This hemoglobin derivative shows less affinity towards oxygen and show comparatively more affinity towards native proteins. Once it forms conjugation with proteins, it cannot be reversed to normal protein functioning. 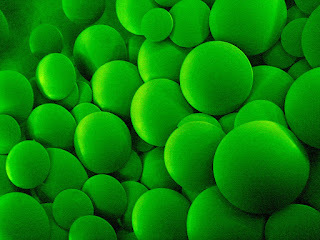 Sulfhemoglobin is green in color due to sulfur attached to hemoglobin. Sulfhemoglobin even at low concentration can cause cyanosis. It is a rare condition and sulfhemoglobin is no more capable of carrying oxygen. And as a result, body cells will start dying. Sulfhemoglobinemia may be drug induced i.e. intake of drugs containing sulphur in them. The worst condition of sulfhemoglobinemia may result in green color blood. Whenever patient bleed, the blood will be of green color and it is the strong indication for sulfhemoglobinemia. Some drugs if used on regular basis can cause sulfhemoglobinemia. Sulfhemoglobinemia shows visible symptoms which helps a lot in its diagnosis. Blood of chocolate brown color will appear in arteries. Lips and skin may show livid discoloration. Due to sulfur atom in blood, patient may have bad breathe and urine with foul smell. Dizziness is the common symptom. Finger tips of patient may stain blue in color. Due to less or no oxygen supply to body cells, patient will feel fatigue and no more activeness. It will also cause difficulty in breathing I.e. patient may have chest pain and chest tightness. In sulfhemoglobinemia, sulfur atom is incorporated in hemoglobin present in blood forming sulfhemoglobin. It is usually drug induced. Sulfhemoglobin may form as a result of hemoglobin interaction with sulfur present in medications. Usually sulfonamide administration may lead to formation of sulfhemoglobin. Sulfonamides along with increased dosing frequency can readily form sulfhemoglobin in blood. Person working in chemical factories or industries are at greater risk of sulfhemoglobinemia because of increased interaction with chemicals and gases. Industrial waste is the rich source of hydrogen sulfide. People living in polluted areas may suffer from sulfhemoglobinemia because of excessive volatile sulfur containing compounds in environmental pollution. Once the sulfhemoglobin is formed it cannot be reversed to normal hemoglobin. But in rare cases, it may resolve on its own via red blood cells turnover. Because life span of red blood cells is of 120 days so it is a natural phenomenon. If it becomes severe, then blood transfusion is performed as a last option. Because there is nothing we can do after blood transfusion. The chemical agent suspension is another treatment option in which the causative or suspected chemical agent is suspended and removed from body. Oxygen supply via external source is necessary in severe cases.